My favourite type of Nestle chocolate is Smarties because eating them makes me feel smarter. Last month, I went to Walmart and bought one of those boxes of bite-sized Nestle treats to hand out to the trick-or-treating kids, but unfortunately for me, the Smarties were the first to run out. To get my revenge, I went to Walmart again and bought an entire canister of Smarties so that I could stash it in my room and enjoy it "in moderation." 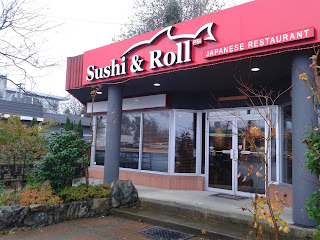 However, in addition to indulging in excessive amounts of sugar, I also needed to indulge in excessive amounts of sushi, so I left Walmart to meet up with my dad at the newly opened PSI Sushi & Roll in Port Moody. PSI Sushi & Roll is Korean-operated and runs a large, busy location in Surrey. Everything on their menu is quite affordable, and there is a good abundance of items on the menu. As their Port Moody location had just opened, there were very few diners when I entered the restaurant. I suppose the fact that I decided to eat at 3 p.m. also contributed to the lack of customers I saw. One of my dad's favourite Japanese foods is Prawn Tempura, and he can never seem to get enough of it. This Prawn Tempura came with 6 soft, juicy prawns and two bonus pieces of green bean tempura. The batter was slightly thick for some pieces, but thankfully, it was crispy and not hard at all. The flavour of the prawns was preserved well. 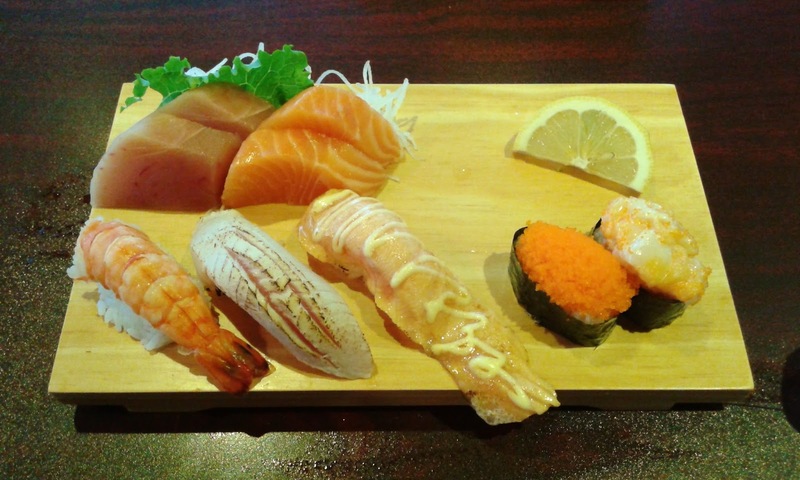 Next, I got the Sashimi & Sushi Combo and had the tuna and salmon nigiri seared. Both types of sashimi were delicious and fresh, and the tuna was especially soft. Although the Ebi Nigiri was slightly chewy, it had a nice sweetness. The Seared Tuna Nigiri would have fared better with some dressing, but the Seared Salmon Nigiri had a nice drizzle of mayonnaise on top along with a nice smoky flavour. The Masago Nigiri had a soft, bubbly texture and a nice burst of flavour. The Chopped Scallop was soft, fresh, and sweet, but the rice was packed a bit too tightly for this one piece. The Awesome Roll consisted of crab meat, cucumber, avocado, baked salmon, green onion, masago, and bonito, and is similar to Sushi Town's Awesome Roll. However, it was slightly rice-heavy, and the teriyaki sauce severely lacked impact. On the contrary, I did enjoy the spicy mayonnaise and the neat construction and presentation. Overall, Sushi Town is the clear winner on this roll (unless PSI Sushi & Roll was just having an off day). 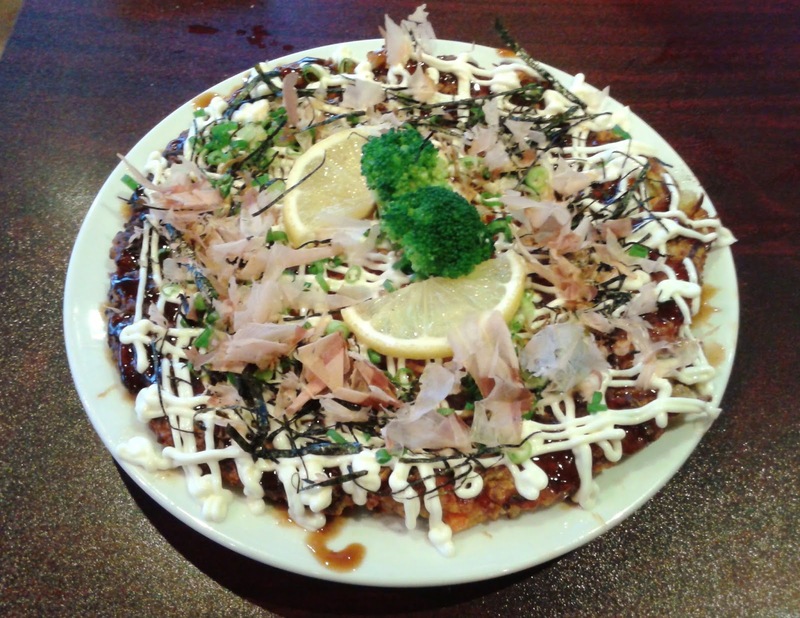 For $6.95, I was totally not expecting a 10-inch Okonomiyaki, so this was a very good deal! It was quite thick with lots of cabbage-based filling. 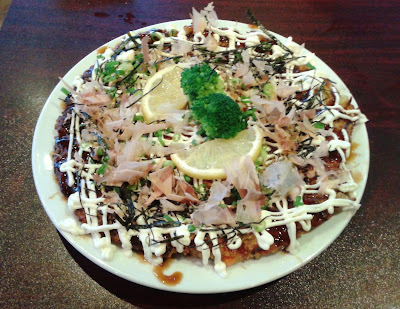 There was a slight, appealing crispiness on the outside, and the mayonnaise worked well with the sweeter okonomiyaki sauce. Unfortunately, some of the pieces were a little burnt on the bottom. We received friendly service and decent food for the most part. This is one of the most affordable places for sushi in the Port Moody area, and I would expect that it would gradually pick up more and more customers as it becomes more well-known in the area. However, previous restaurants that have occupied that building had significant trouble lasting more than about two or three years. Let's see if PSI Sushi & Roll can finally put a stop to the frequent changing of ownership.